On February 14th, 2018, 19-year-old Nikolas Cruz opened fire at Marjory Stoneman Douglas High School in Parkland, Florida. 17 lives were lost and 14 were injured, including students and staff members. Some students all over America are beginning to wonder if they are even safe in their own schools anymore. Some others are just tired of dozens of innocent lives being lost to shootings. These students have decided they’ve had enough, triggering the National School Walkout on March 14th, where students would take 17 minutes out of their school day to either protest gun violence or pay respects to the victims. After the two student council members spoke, all the participants held hands, putting their heads down in total silence for 17 seconds, each one for the 17 victims. After the moment of silence, 17 student council members proceeded to each take one balloon and form a line. 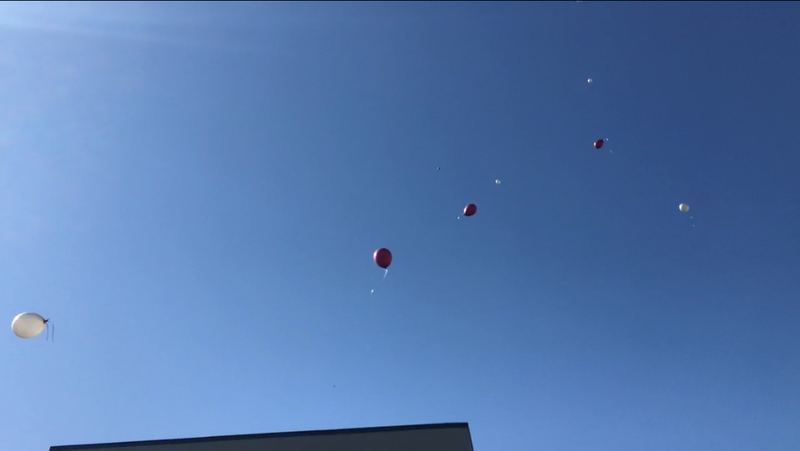 The names of the victims were read aloud, a balloon being released in to the sky with each name.